Irons in the Fire chronicles the agricultural, industrial, and commercial activities of four generations of the Tayloe family of Northern Virginia, revealing a greater complexity in the southern business culture of early America than scholars have generally recognized. 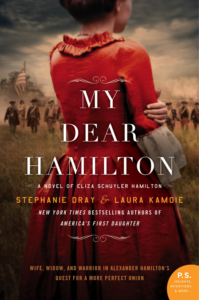 Through the story of one representative family, Laura Croghan Kamoie illustrates how entrepreneurship and a broadly skilled slave-labor force combined to create economic diversification well before the American Revolution. Contrary to general historical perceptions, southern elite planters were, at least until the 1790s, very like their northern counterparts. The Tayloes were planters and businessmen who, crucially, saw no distinction or conflict between these two roles. In this they were not unique: diversification, combined with an entrepreneurial inclination among the elite of the planter class, formed the basis of the Chesapeake’s regional economy and contributed to its development. This diversity was reflected in the slave community. Demonstrating a versatility exceeding later generations of slaves, and occupying a central position in the daily operations of the South’s business culture, the Chesapeake slaves made the planters’ relatively sophisticated enterprises not only profitable but possible. 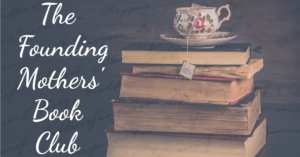 Spanning more than a century of early American history, the story begins in 1700, when John Tayloe I managed the family’s concerns, and concludes with his six great-grandsons, who lived into the Civil War era. Through the generations, the Tayloes demonstrated the same essential qualities--enterprise, risk-taking, business savvy, innovation, ambition, and pursuit of profit--as their northern counterparts. As the eighteenth century ended, however, cotton plantation agriculture--and, in Virginia, the internal slave trade in support of it--increasingly began to take over, working against economic diversification. 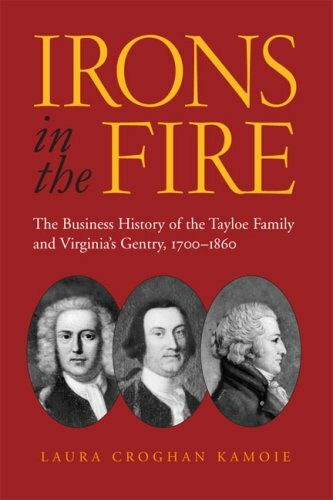 Irons in the Fire provides an exceptional view of early American business, each generation of Tayloes approaching the family’s welfare within the social, political, economic, and cultural contexts of their day. This business-family saga also contributes a pivotal perspective to contemporary debates about the economic modernity of the South. One of the most well-researched economic studies ever undertaken on the early modern South. Kamoie has demonstrated beyond a doubt that the Tayloes were diversified businessmen, who dealt mainly in agriculture, but who were also open to an array of commercial and industrial activities, an array which changed over time. Irons in the Fire makes a very significant contribution to the economic history of early America.